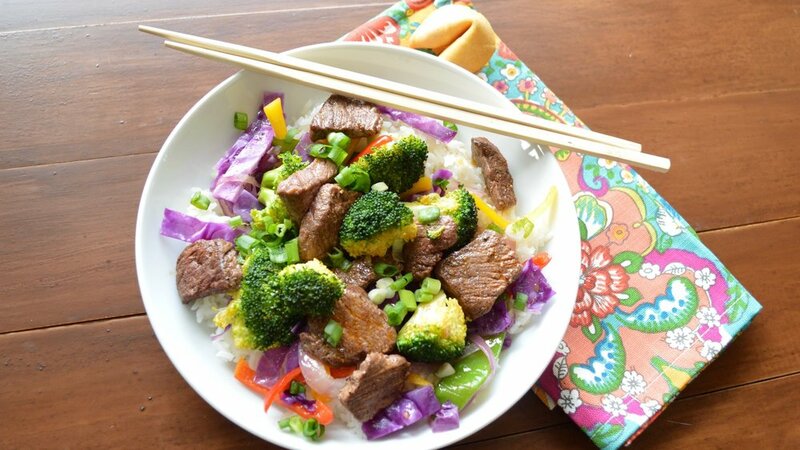 Spicy Broccoli & Beef Stir-Fry w/ Jasmine Rice — Happy Food Co.
*If the olive oil has solidified in the fridge, return to liquid by running under warm water. This meal can be made with mild or medium spice level for your preference. SLICE the beef tenderloin into bite-sized pieces. 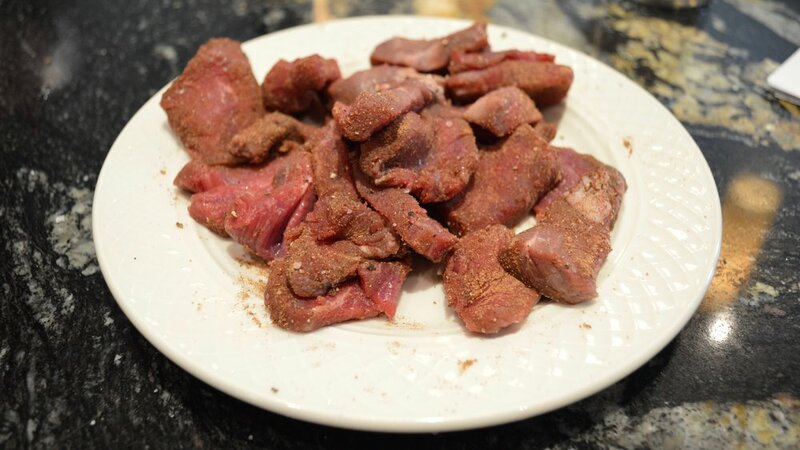 MIX the beef with oriental five spice in a small bowl. Season to taste with salt and pepper. HEAT 2 tablespoons hot chili oil in a large skillet over medium-high heat. ★For MILD, substitute regular extra virgin olive oil from your pantry for the chili oil. ADD the seasoned beef and cook, turning once, to desired doneness. For medium, the cook time is 2–3 minutes. TRANSFER the beef to a plate and set aside. BOIL 1-1/2 cups water in a medium saucepan over high heat. STIR in the jasmine rice, then cover with a lid, and reduce heat to low. COOK until the liquid is absorbed, about 10 minutes. WARM the extra virgin olive oil packets in a large skillet over medium-high heat. 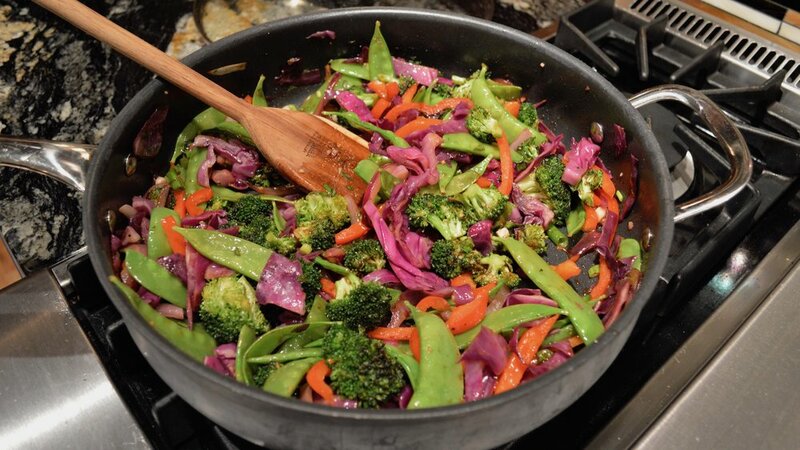 STIR in the mixed veggies and sauté until crisp-tender, about 3–5 minutes. STIR in the shredded cabbage and sauté another 5 minutes. TRANSFER to a large bowl and cover with a lid to steam. WARM the remaining hot chili oil in the same large skillet over medium-high heat. ★For MILD, use HALF of the hot chili oil provided in your kit. ADD the broccoli florets and sauté until they begin to brown but are still bright green and crisp-tender. ADD the mixed veggies back to the skillet. STIR in the roasted garlic and ginger paste. COVER with a lid and remove from heat to steam for 5 minutes or until tender. 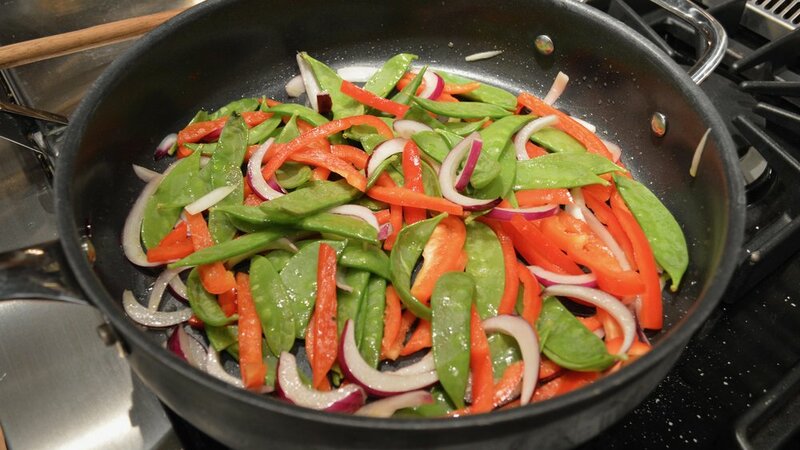 ADD the basil paste, green onion, and hoisin sauce to the sautéed mixed veggies. Stir to combine. SERVE over the cooked jasmine rice and enjoy! TIP: Please recycle your dinner kit packaging. Our containers are compostable and made from plant-based materials.